This is a very simple and delicious dish to make. 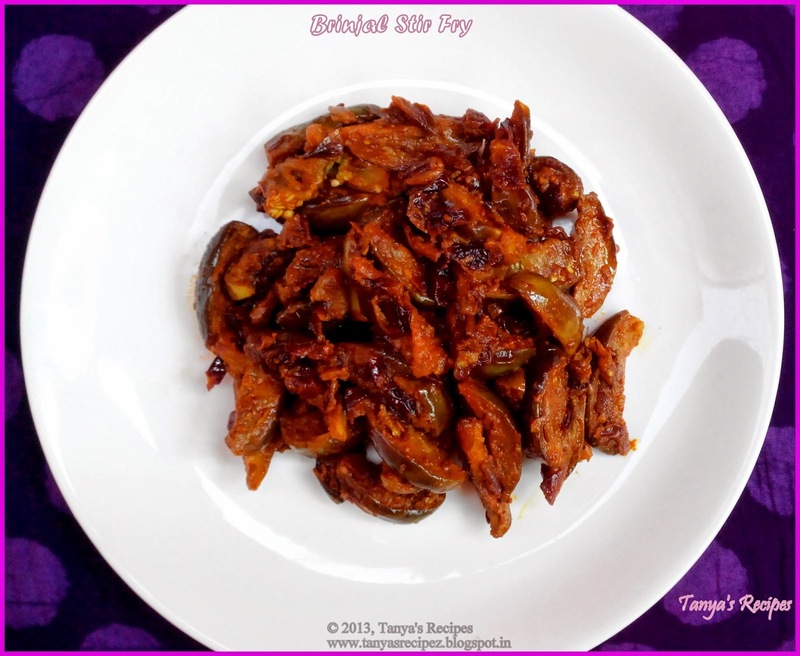 I used baby brinjals to make it but it can be made with other variety of brinjals as well. It is excellent as a side dish for chapatis. Cut the Brinjals into medium strips and dip it in salted water so that the color does not change. ü Feel free to adjust the spices according to your taste.